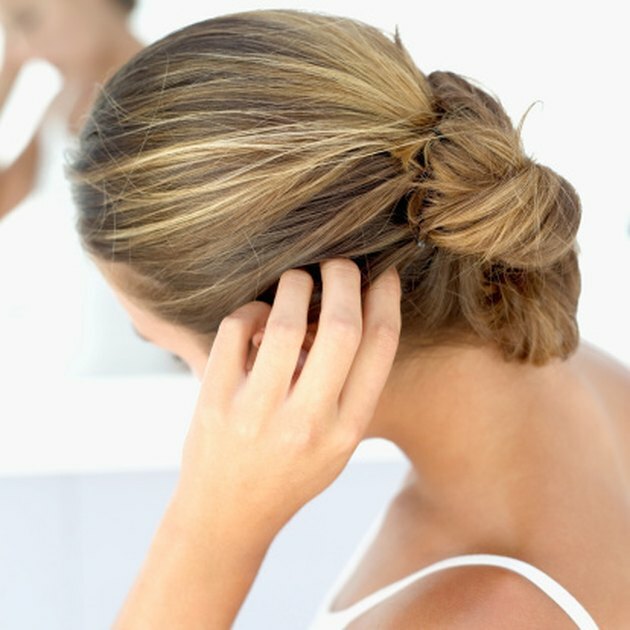 What Causes a Very Itchy Scalp Only After Shampooing Your Hair? Itchy scalp has multiple causes, ranging from skin conditions such as dry skin, dandruff and psoriasis to underlying health concerns like iron deficiency anemia and liver disease. However, if your scalp begins to itch after shampooing, you may be experiencing a different set of conditions. Understanding the possible causes of your itchy scalp can better your chances for successful diagnosis and treatment. Soaps, chemicals and other topical agents applied during your shampooing routine may irritate the scalp, causing itching and redness. These products can also elicit allergic reactions, with symptoms ranging from itchiness, flakiness and redness of the affected skin to hives, wheezing and loss of consciousness. If you experience symptoms of irritation or allergies, discontinue use of the product and contact your physician immediately. Direct contact with shampoos and other hair-care products can cause contact dermatitis, inflammation characterized by red, itchy skin. Other symptoms include red bumps, rash, pain, blisters and patches of dry skin, according to Mayoclinic.com. Contact dermatitis usually occurs from repeated exposure to a substance, while allergic contact dermatitis can occur after one instance of exposure to an allergen in the product. Allergic contact dermatitis may disappear within hours of exposure. Treatment of both contact dermatitis conditions can include over-the-counter hydrocortisone-based creams and oral medications. Discontinue use of the product if you suspect contact dermatitis. Folliculitis occurs when the hair follicle becomes infected with bacteria. This may happen during the showering process or because of excessive perspiration. Folliculitis can also occur if your hair-care routine involves shaving, as the friction from shaving may cause infection. Dermatitis can also cause folliculitis. Mild forms of folliculitis will fade on their own. Treatment for more severe folliculitis depends on the type and may include topical or oral antibiotics and antifungal medications. Your itchy scalp may have been present before shampooing and became irritated by a hair-care product. Scalp conditions that may elicit these responses include dandruff, dry skin and lice. Consult with your physician for proper diagnosis and treatment, as these conditions worsen with inaction. Some over-the-counter creams may actually worsen or cause irritation of the affected skin. Your physician can recommend creams for your specific condition and medical history, including known allergens and sensitivities. Disclose to your physician all known skin irritants and any symptoms you’re experiencing to determine the right topical applications for you. What Are the Causes of Inflamed Scalp?